Have you tried couponing after you shop? 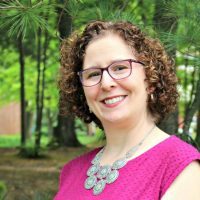 It’s very easy, and along with the other strategies I use to save, they help me stay on budget each month. If you haven’t tried it yet, let me introduce you to the ibotta app. Many years ago, I was a major couponer. I clipped multiple newspaper inserts’ worth, kept them organized, and shared how to do it here on the blog. Boy, times have changed. Stores have changed their policies. Most families are eating differently, and many of us don’t have the time or energy to shop multiple stores like we used to. 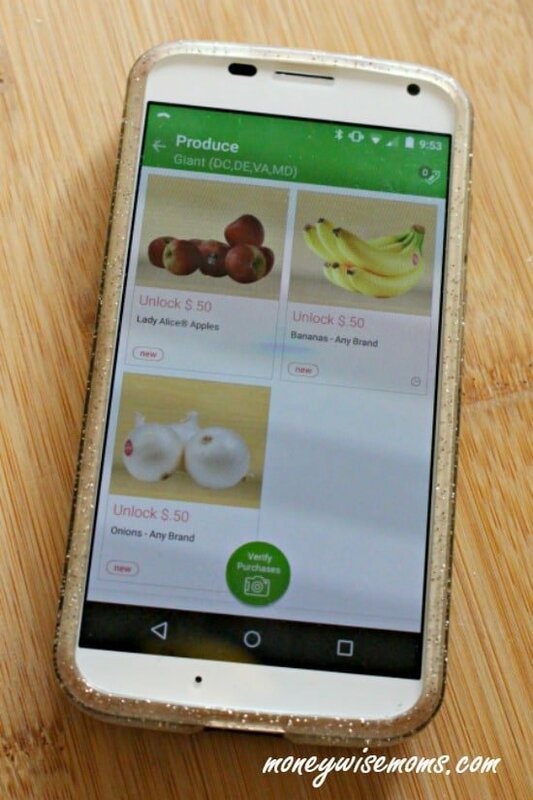 I’ve certainly adapted how I coupon, and while I still use the occasional paper coupon, I’ve turned to some handy apps–like ibotta–to help me save on my grocery shopping. 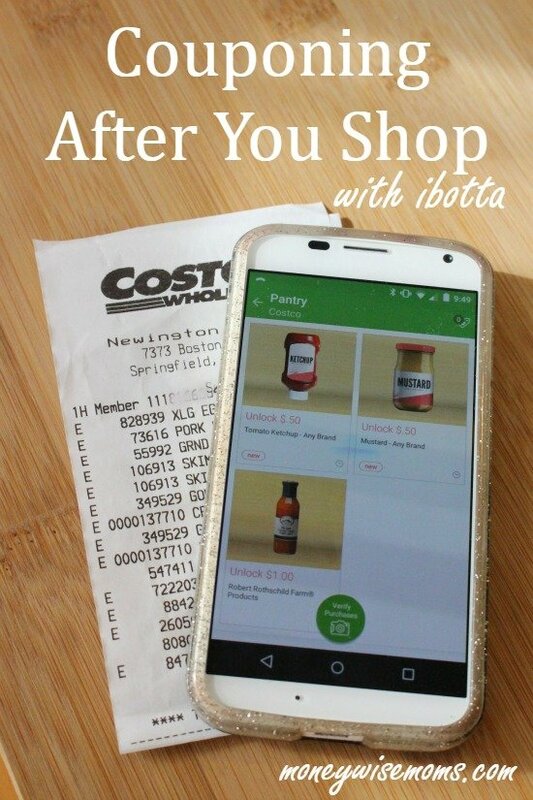 For me, I wait until I get home and then check to see if anything I bought has an ibotta offer. You need to “unlock” each offer, sometimes that’s by watching a quick video (15 sec) or just seeing a recipe. You click on the offers you want to match to your receipt, and then you need to scan the barcode of what you’ve purchased to make sure they match each offer. Finally, you take a photo of your receipt and submit. Usually I get a confirmation about my savings within an hour. No clipping, forgetting coupons at home, etc. They offer savings on non-brand foods like “Milk,” “Bananas,” and other things we buy every week. I love that! It’s FREE to download to your smartphone (I used it on my Android). Your savings are deposited into your Paypal account. If I don’t do it right away when I have the receipt, I forget. And then sometimes it’s several days or even a week later, and I’ve missed the window to get the savings. Oops. For some, the $20 cashout is a negative. I haven’t had a problem with it. I just wait until I hit the threshhold and then they send me the money via Paypal. Even with my light usage (I don’t buy a lot of brand foods, mostly the non-brand offers), I’ve hit the threshold and gotten my $20. Have you used ibotta? What do you like or dislike about it?